This 20 kHz ultrasonic bar welder is the latest in JTE Machines’ efforts to become your “Total Seaming Solutions” provider. To be used with many types of thermoplastic industrial fabrics, this first of its kind welder will give you consistent, high quality welds you expect from RF bar welders, without the puckering of a rotary welder. 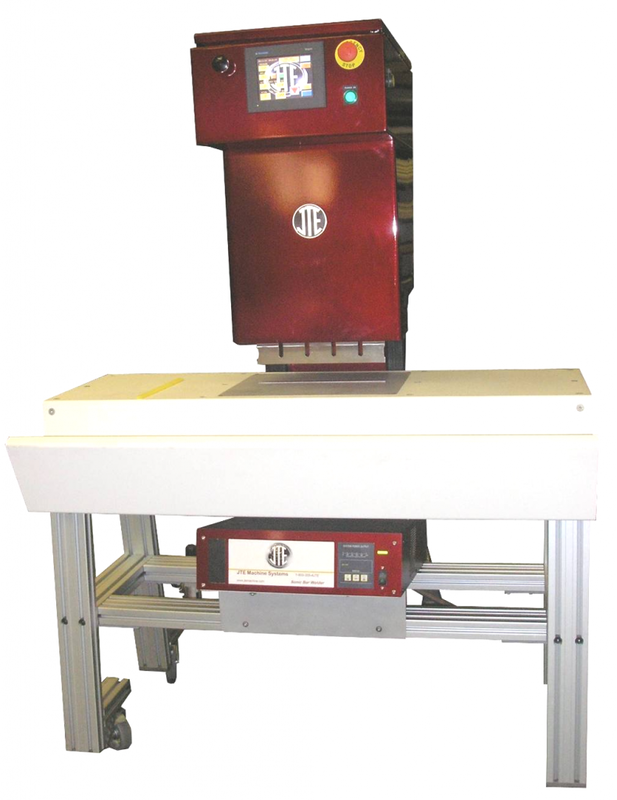 The JTE Sonic Bar Welder is available as a stationary welder, and can be configured as part of an automated solution. The 1/2” by 11” weld is typically completed in less than a 4 second cycle. Different bar widths are available as options. This solution comes complete with the same level of operator friendly touch screen human interface along with efficient and safety oriented automation our customers have come to expect. This revolutionary application of technology will allow you to seam fabrics that won’t weld with RF welders along with fabrics that are RF weldable like vinyl coated solar shade mesh and others, with no possibility of arcing. With the JTE Sonic Bar Welder, you will be able to use recyclable “green” fabrics for signs and banners, as well as non-coated polyesters and acrylics. The unique properties of this welder enable stronger welds than ever before on textured fabrics using seaming tape. The machine comes equipped with a ½” x 11” Horn, and a matching light knurled anvil that is removable.